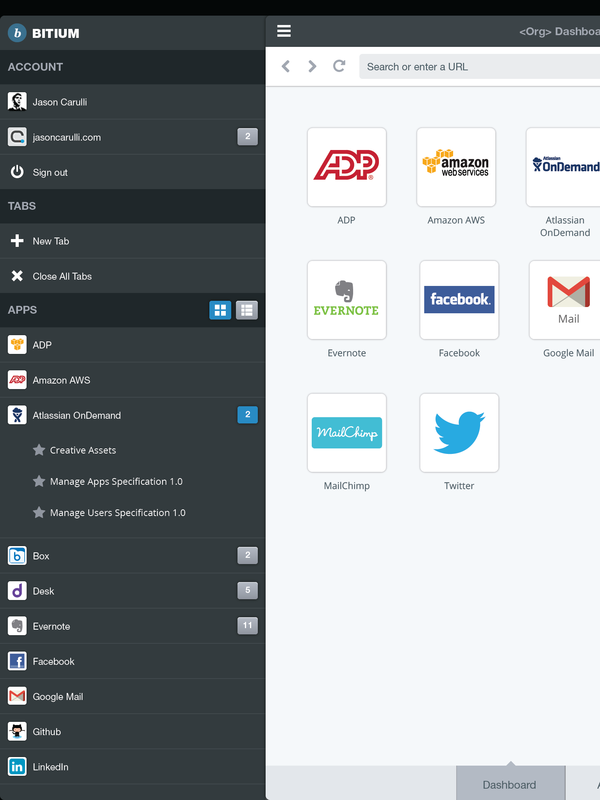 Bitium has officially launched an iPad app for its Software-as-a-Service (Saas) management platform. The startup first launched its product back in April as an enterprise play aimed at helping organizations manage their growing collections of SaaS apps. The service offers single sign-on, permissions management and a unified messaging system. The new iPad app is designed for iOS 7 and allows quick access to the Bitium dashboard and a users Web apps. The company currently supports over 800 SaaS apps. Going mobile was a natural next step for the LA-based startup. According to co-founder and CEO Scott Kriz, Bitium’s enterprise customers are moving toward company-issued tablets, rather than laptops.